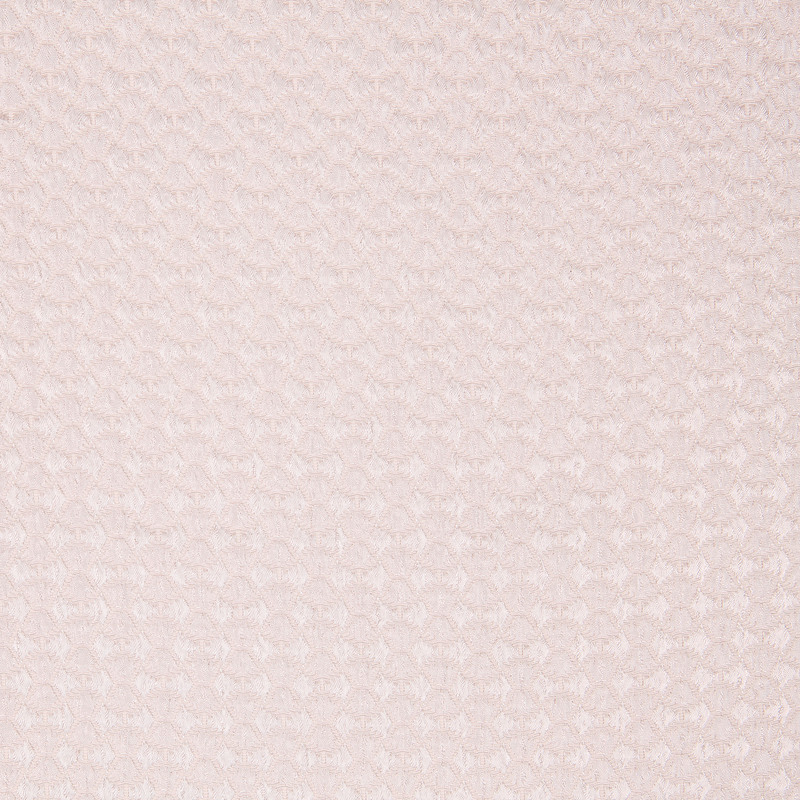 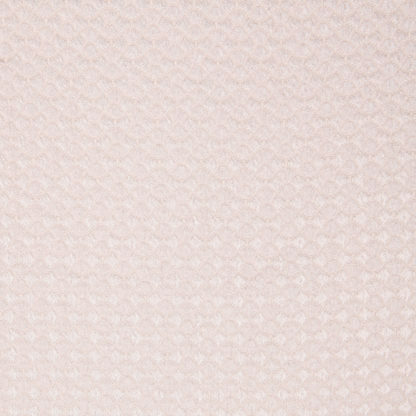 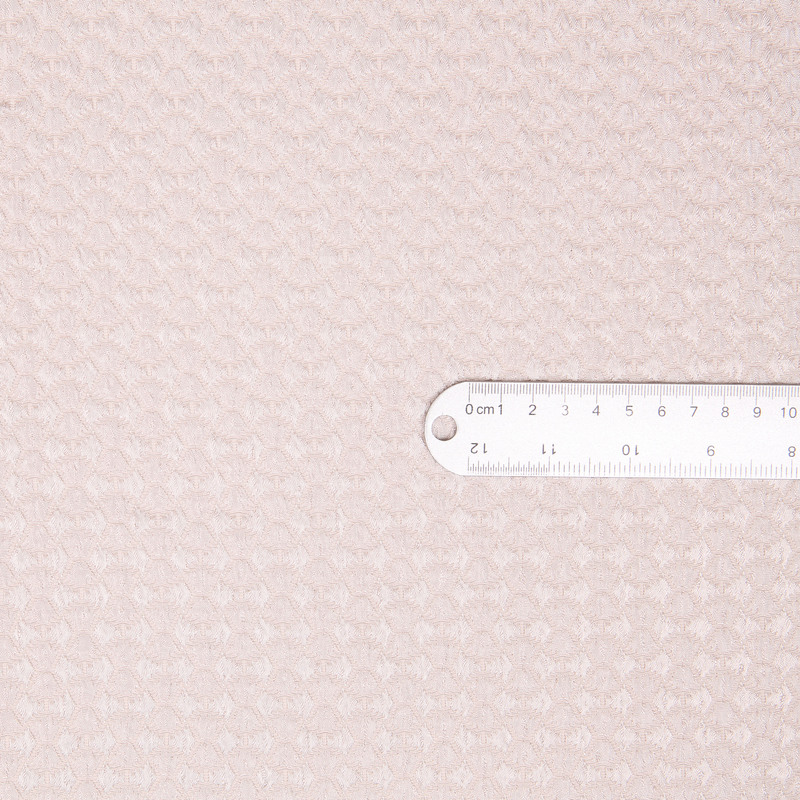 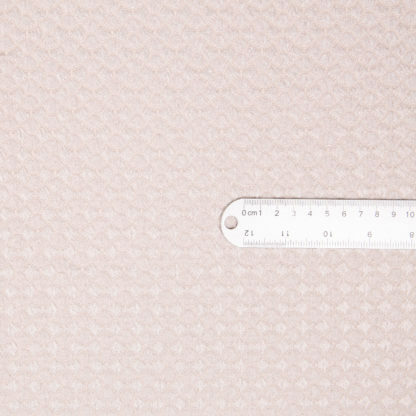 An unusual patterned fabric with small scale waffle texture in a delicate ivory oyster. 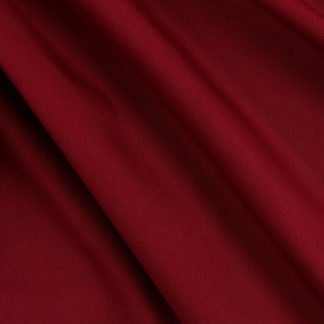 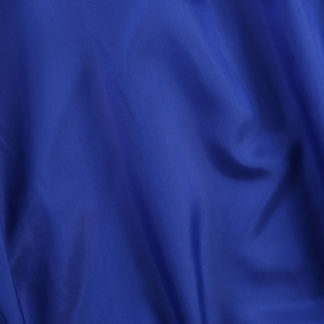 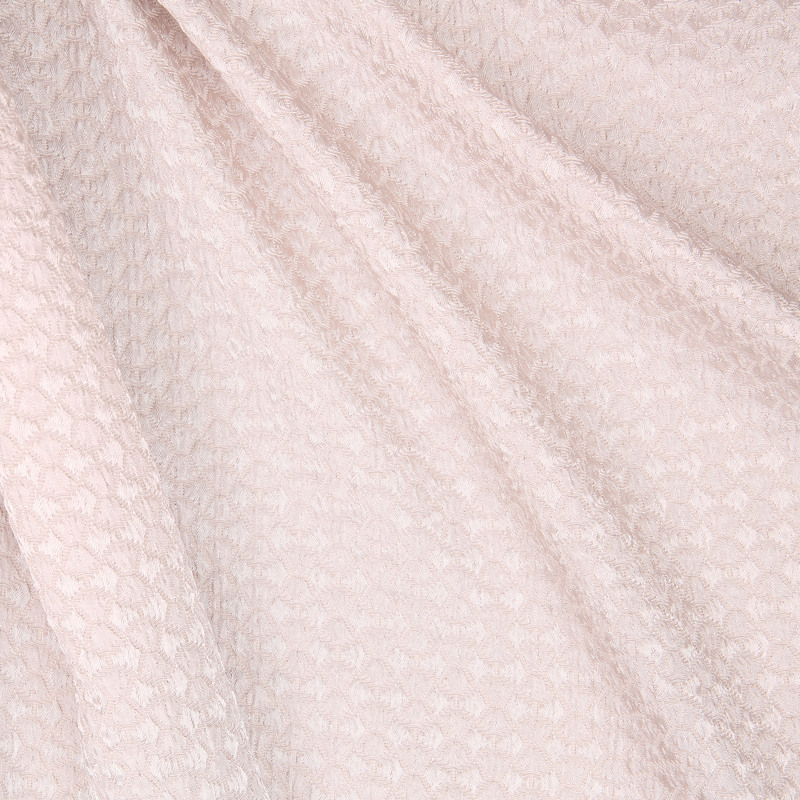 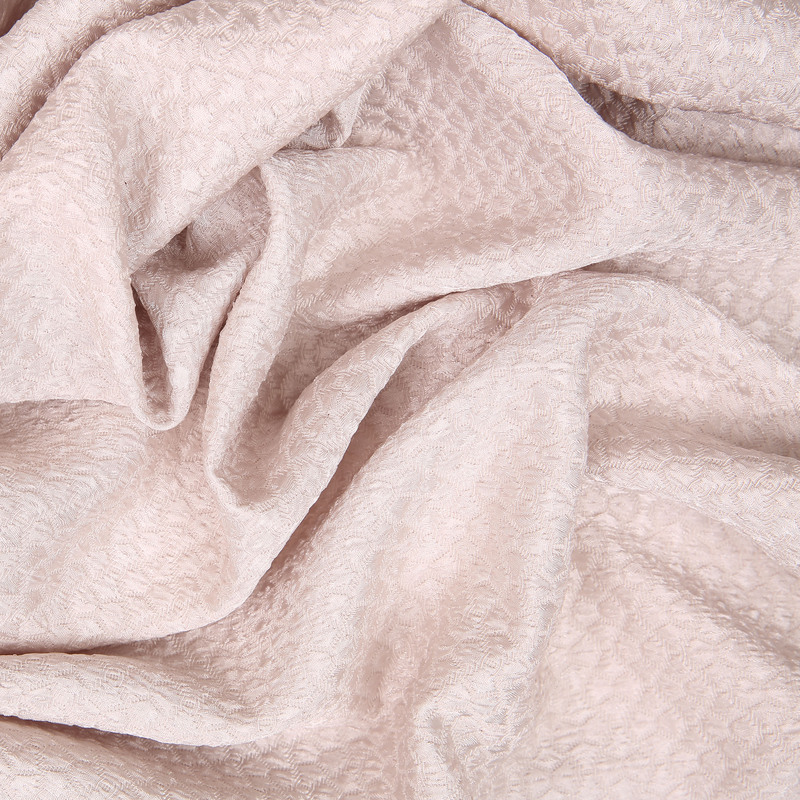 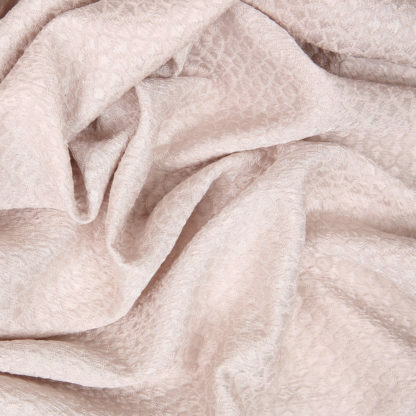 The fabric is made in polyester and is light like a silk fabric. This will be gorgeous as a kimono jacket or for more formal coats. 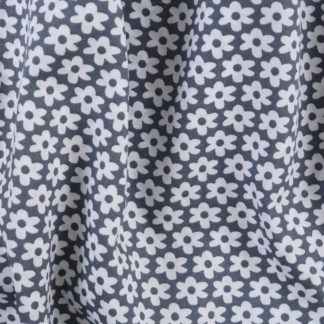 It will also work for skirts and dresses and I would suggest that you line these.